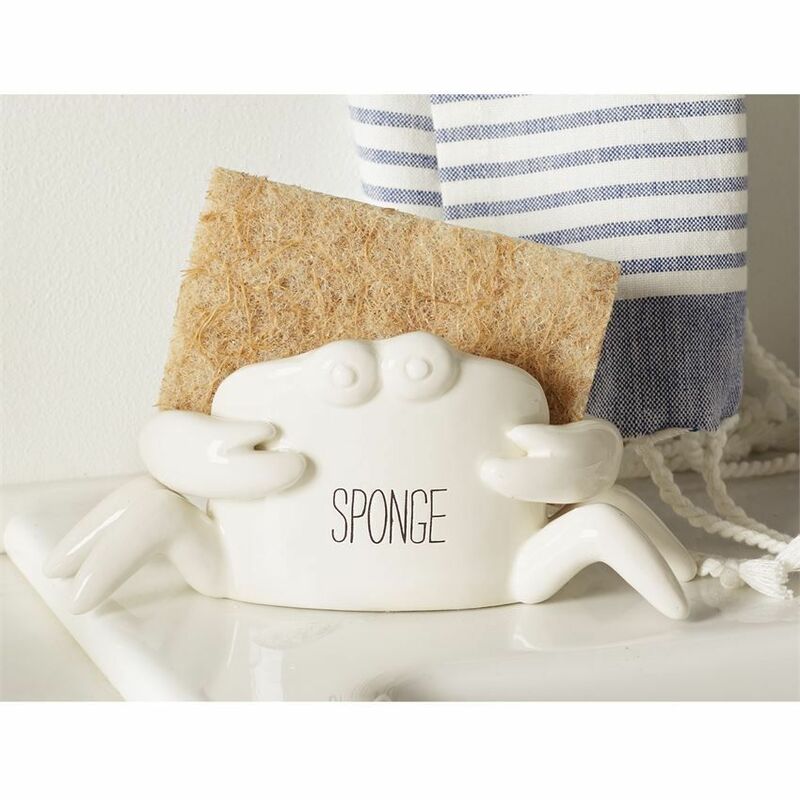 Ceramic Crab Sponge Caddy. Size 3.5x7x2.5 inches. 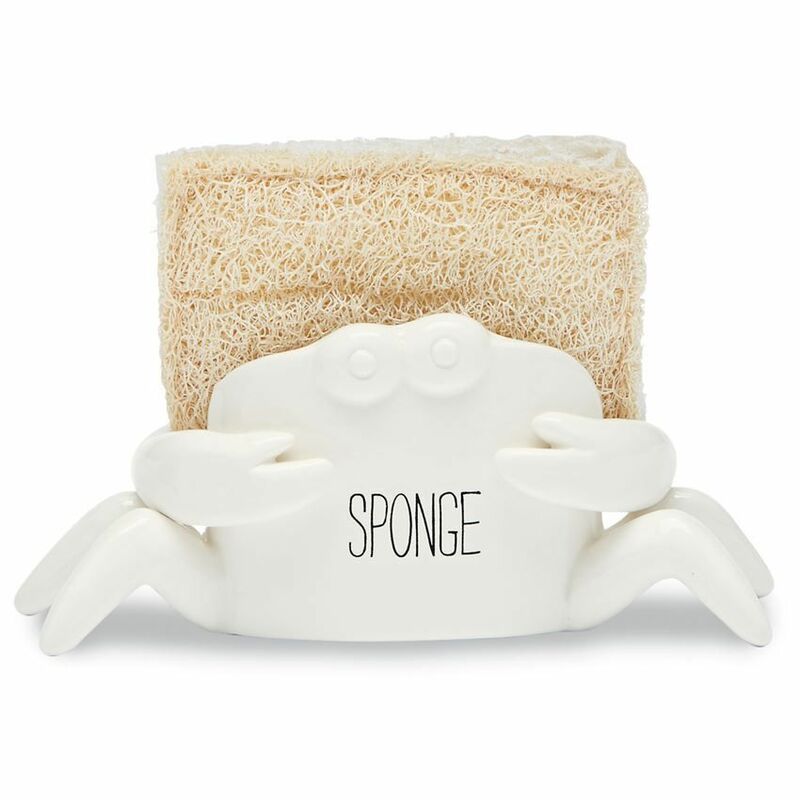 Ceramic "SPONGE" caddy features debossed sentiment and dimensional sculpted crab legs and eyes. 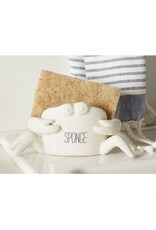 Beach Coastal and Crab Themed Everyday All Occassion Gift Collections. Mud Pie Gifts Serve-ware tabletop and home decor for everyday, birthdays, seasonal and holiday gift giving and entertaining. 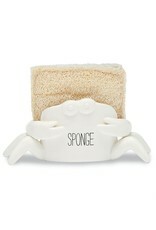 Found Available and in stock now at the interior Digs N Gifts Store Online or In store for local pick up.